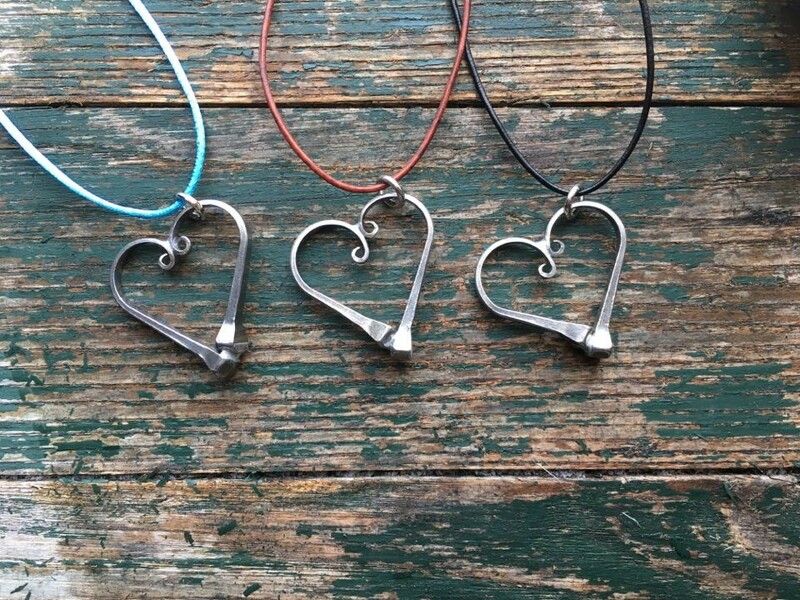 Elizabeth, of The Bent Nail, creates unique jewelry and gifts made with authentic horseshoe nails. Her lifelong love of horses and crafts are combined to create The Bent Nail's line of products which includes necklaces, bracelets, earrings, bookmarks, key rings, candles and ornaments. Some of her designs are accented with beads and charms while other larger gift items are soldered together. All of her products come nicely packaged ready for gift giving. Her craft studio is located at her horse farm in Deerfield, NH. You can find her online and at various equine and artisan events throughout the year in New England.